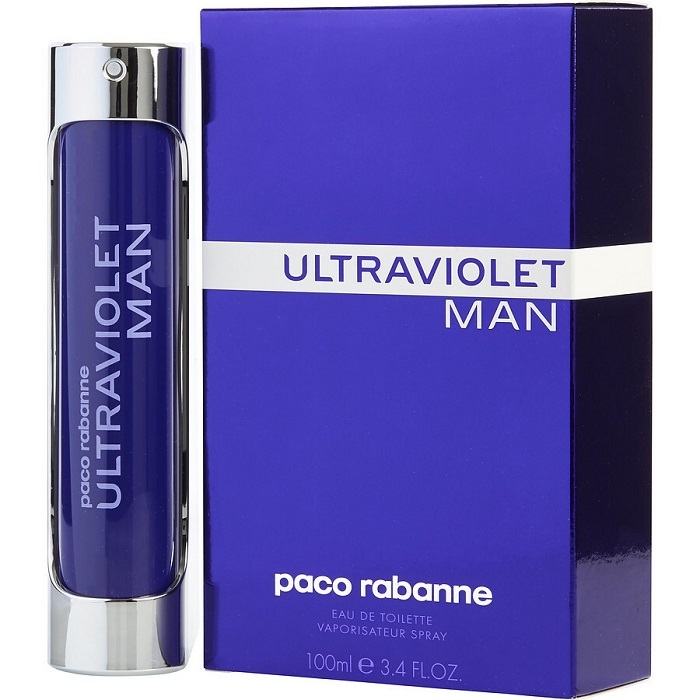 Ultraviolet Man [Released 2001] By Paco Rabanne for Men. Ultraviolet by Paco Rabanne, Launched by the design house of paco rabanne in 2001 as a daily use fragrance. This is an interesting masculine fragrance, more intense and provocative than the feminine version. Gray amber is in the limelight enhanced by the notes of mint, vetiver and moss . The bottle design deserves attention; just like the bottle for the feminine version, this one was made using glass, silicone and metal. Purple is the color of the third millennium, the the Age of Aquarius, according to astrologers and Paco Rabanne himself. It was created in 1999. Ultraviolet was launched in 2001. The nose behind this fragrance is Jacques Cavallier.